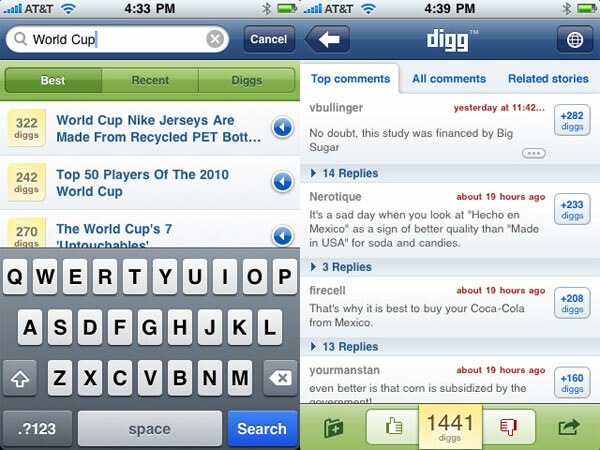 Last year we told you that Digg were working on an application for the iPhone and iPod Touch. The Digg App has now been launched an is available as a free download from iTunes. The Digg iPhone App lets you see all the latest Digg content on your iPhone and iPod Touch. You can login to your Digg account and use it the same way you use Digg on the web. You can bookmark articles to read later, and you can also share articles with your friends on Twitter and Facebook. 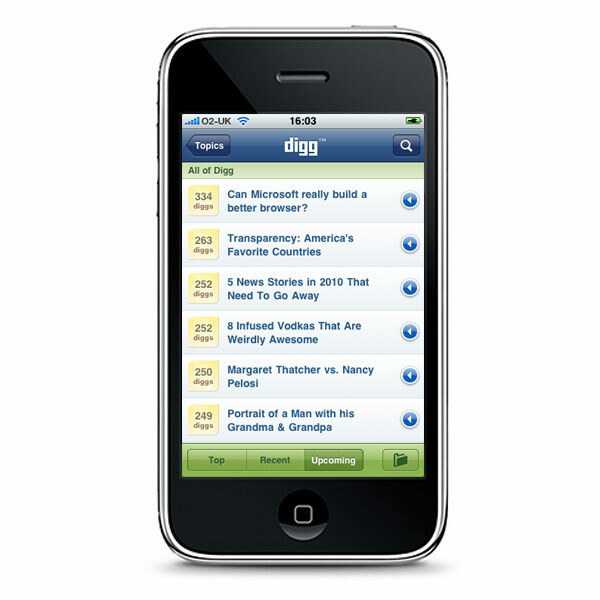 The Digg iPhone App is now available as a free download from iTunes.